At the «National Airport Minsk» the entry visa requests are proceeded by the Foreign Admissions Division (FAD) of the Consular Directorate of the Ministry of Foreign Affairs. Visa support documents must be submitted to the FAD in advance: for short-term visas – not later than 3 business days before expected date of arrival, for long-term visas — not later than 5 business days before expected date of arrival. If the reason for arrival is serious illness or death of a close relative or family member visa support documents can be submitted at the moment of application for an entry visa. Visa support documents can be submitted to the FAD directly (contact phone: (+375 17) 279 20 58) or by post, taking into account delivery time (220054, Minsk, the territory of the «National Airport Minsk», the Foreign Admissions Division of the Consular Directorate of the Ministry of Foreign Affairs). Short-term student visas are issued only in the event of personal presence at the «National Airport Minsk» of a representative of the organization authorized by law to issue invitations for study. A valid, signed US Passport (“Permit for Reentry” or “Refugee Travel Document” are also acceptable). A passport should have at least two blank visa pages and should be valid for at least 90 days upon conclusion of your trip. Fully completed and signed Belarus Visa Application The form must be filled out completely, no blank spaces must be left. If a question does not apply, please type “N/A”. If the answer is none, write “NONE”. Incomplete forms will be returned to the applicants UNPROCESSED. The form should bear the original signature of applicant and must be well readable. Please, fill out in block letters. Effective October 1, 2000 medical insurance is required for all foreign citizens traveling to the Republic of Belarus. US citizens may purchase the insurance upon arrival at Minsk National Airport. Include confirmation of hotel arrangements only from authorized Belarus travel company, Belintourist, showing a reference number for the visa. An original (not a copy) invitation. Your relatives or friends should obtain invitation (“zaprashenne”) for you at the local passport and visa office of the Ministry of Interior and send it to you. In case of emergency (unexpected illness, death of the relative, etc.) visas can be issued upon submitting a certified cable from a doctor or a clinic in Belarus. Include a letter from the tour company confirming your itinerary and a copy of the confirmation from the authorized Belarus travel company which shows the reference number for the visa. A valid, signed US Passport A passport should have at least two blank visa pages and should be valid for at least 90 days upon conclusion of your trip. — A document certifying that you are employed by that company. Citizens of the US, Canada, European Union states and some other countries (please, check at the Embassy of Belarus in the USA or Consulate General of Belarus in New York), who applies for business visa to the Republic of Belarus valid through 30 days or less may submit their documents without providing a letter of invitation. Still, the inviting organization’s full name (not abbreviation) and address must be indicated in the visa application form. A valid, signed US Passport (“Permit for Reentry” or “Refugee Travel Document” are also acceptable). Citizens of other countries with visa regime with the Republic of Belarus have to contact the Embassy of Belarus in the USA or Consulate General of Belarus in New York to find out the exact amount of the fee (applying with other than US passports). 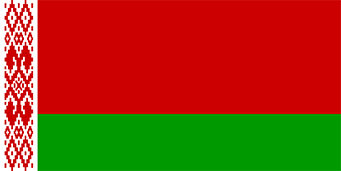 The period of temporary stay of foreign citizens in Belarus is determined by the duration of their Belarusian visa and can not be more than 90 days a year, starting from the date of entry in Belarus. After arriving to Belarus please report within 5 business days the information about the address and duration of your stay to the local Passport and Visa Office of the Ministry of Interior. If staying in a hotel, this will be arranged by the hotel services (reception bureau). All passengers holding US passports and visa of Belarus, traveling to Belarus via Moscow, must obtain Russian Transit Visa.